It was 1937 and publisher Zalman Schocken was looking for an original gift for his friends. The result: 40 spectacular photographs capturing the cities and landscapes from the skies. 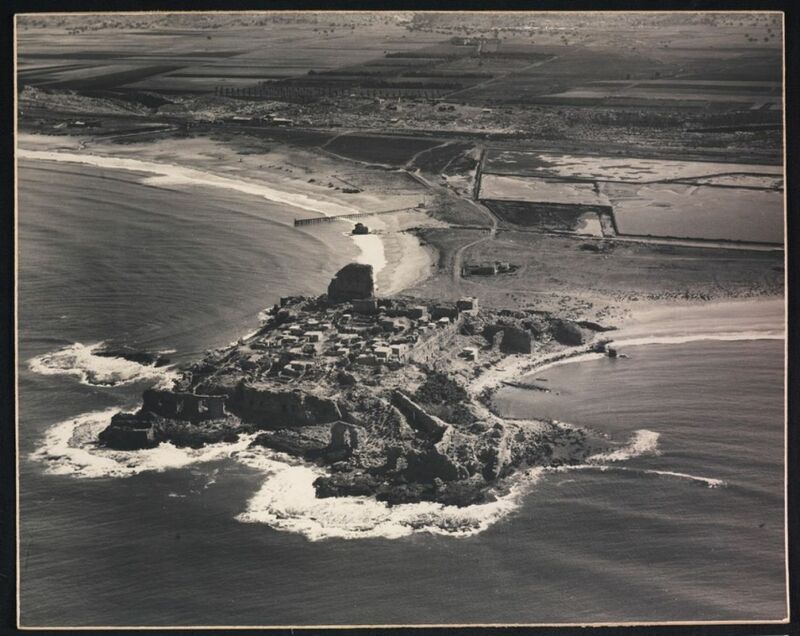 Deep within the National Library archive, an unmarked cardboard box wrapped in fine linen contains 40 high-quality aerial photographs of pre-state Israel. A yellowing piece of paper sits atop the photos, with a brief inscription in Hebrew and German revealing the story behind their creation. The project was the result of a unique collaboration between a successful publisher and one of pre-state Israel’s greatest photographers. 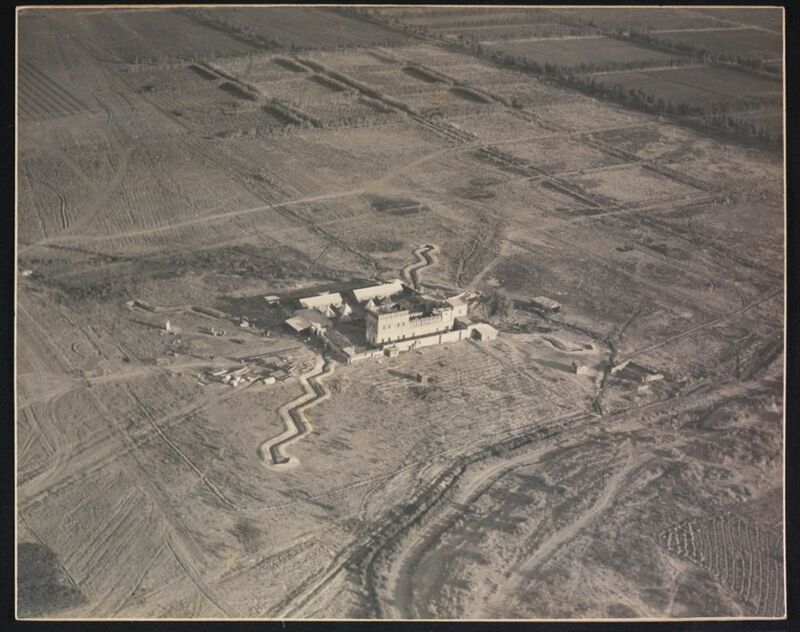 It was to produce the first-ever set of aerial photographs of pre-state Israel to be taken for nonmilitary purposes. What does the inscription tell us, and who are the men who created this unique album exactly 80 years ago this year? Against the backdrop of bloody events in Israel (the Arab Revolt) and Hitler’s edicts in Germany, a celebration was held in Jerusalem on October 23, 1937, to mark Zalman Schocken’s 60th birthday. On the second floor of his library building (which had been planned by renowned architect Erich Mendelsohn), Schocken got together with a small group of colleagues and peers. A tough and powerful businessman, someone like Schocken had few real friends. At the same time, many wanted to extend their best wishes to this influential man who was a patron of Hebrew literature and who had brought together the greatest creative minds in the burgeoning local Jewish community. Schocken’s public status in pre-state Israel was at its height. He held senior positions at the Hebrew University of Jerusalem and the Jewish Agency, and had just purchased Haaretz – one of the most important dailies in pre-state Israel, which his son Gershom would then edit for 50 years. Zalman Schocken devoted most of his energies toward cultivating original and innovative cultural experiences – first and foremost with his Schocken Books. Author S.Y. Agnon headed a group of writers who “adopted” and looked out for Schocken, who in turn provided for them generously. Haim Hazaz, Shaul Tchernichovsky and other artists received generous stipends from him, in exchange for exclusive rights to their work. 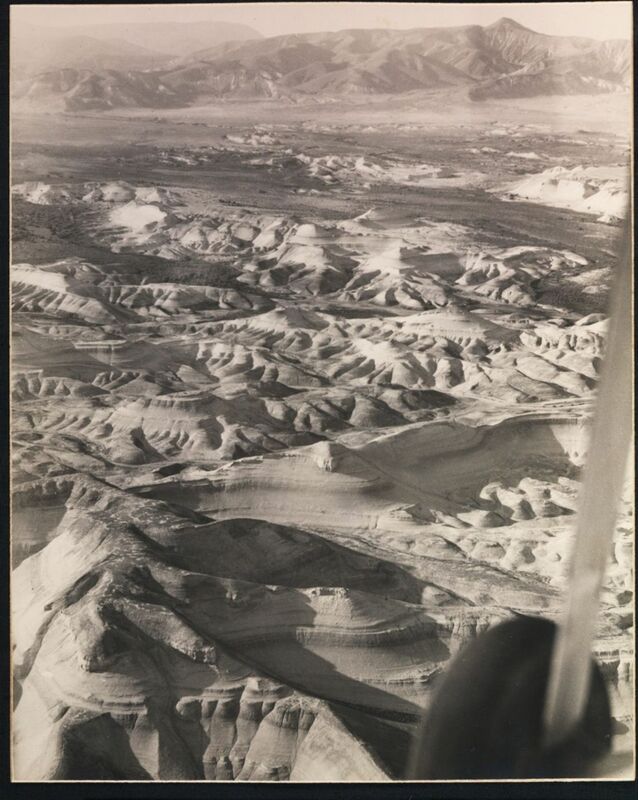 But while Schocken’s endeavors on behalf of literature are well-known, little has been written about his initiative to photograph pre-state Israel from the skies. We still don’t know exactly who connected him and Nachman Shifrin, owner of the Orient Press Photo Agency, in 1937. But their collaboration left a unique mark on Israeli photography. Four years earlier, Shifrin had sold his large press photo agency in Berlin and immigrated to pre-state Israel, along with one of his best photographers, Zoltan Kluger. Four months after Hitler had come to power, Nazi restrictions on the activities of Jewish photographers had led Shifrin to the conclusion that he must get out. He also understood that the national institutions in pre-state Israel needed professional-looking photographs for the developing industries of propaganda and publishing. Shifrin was a talented entrepreneur and a shrewd and resourceful businessman. What he was not, though, was a photographer. He entrusted this to Kluger, a modest and highly skilled photographer from the Hungarian city of Kecskemet, who had worked in Berlin from the 1920s. The technical and artistic quality of Kluger’s work led him to become the preferred photographer of Keren Hayesod and the Jewish National Fund soon after his arrival in pre-state Israel, in November 1933. Shifrin and Kluger’s immediate success did not prevent them from examining other areas of activity, even though this created ill will from other photographers. But a new wave of immigration from Europe (the Fifth Aliyah) included a large group of photographers, some of international renown, which led to greater competition among the photographers. Shifrin grew concerned by other photographers’ complaints that Kluger was enjoying too much exclusivity working with the national institutions. This led him and Kluger to seek other ways to showcase their superiority in the field: The daring venture they eventually pursued would literally allow them to look down upon their rivals. So who actually came up with the idea of taking the aerial photographs? That remains unclear. Could it have been Kluger, who had served as a photographer in the Austro-Hungarian air force in World War I? Or was it the exuberant entrepreneur Shifrin who first thought of it? Or was it Schocken, who was known for his original ideas, especially in the field of advertising? 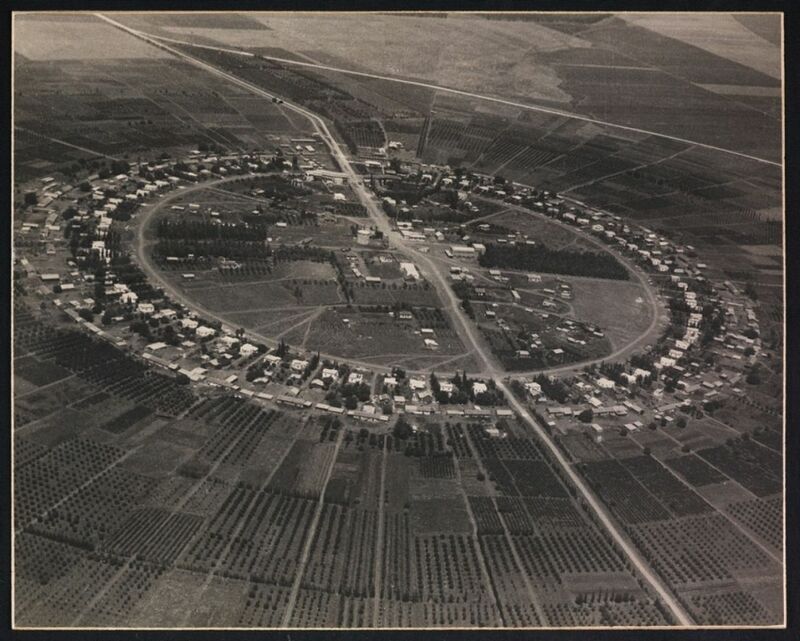 What is known is that Schocken was the key figure in the initiative to hire a civilian aircraft and document pre-state Israel, for the first time ever, from above. Until then, aerial shots had been the preserve of military personnel, conducted through the auspices of the German Air Force and the British, especially during World War I. Now, Schocken was able to hire a plane through Aviron – the first “airline” in pre-state Israel – and let Kluger work his magic. 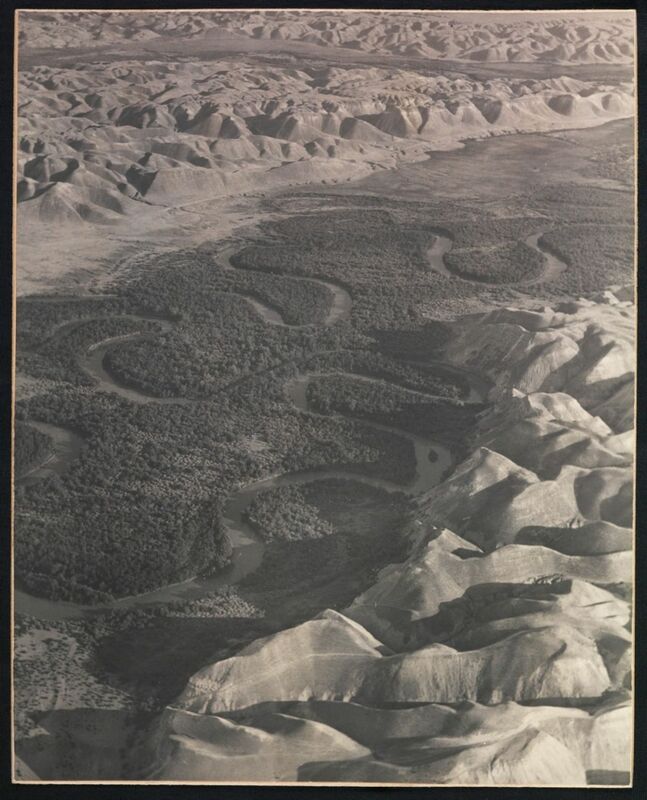 And the photographer’s aerial shots did not disappoint: stunning pictures of the Judean Desert, the Jordan Valley, Tel Hai, Deganya, Ein Harod, Beit Yosef and Tirat Zvi in the Beit She’an Valley, and coastal communities – most notably Tel Aviv. 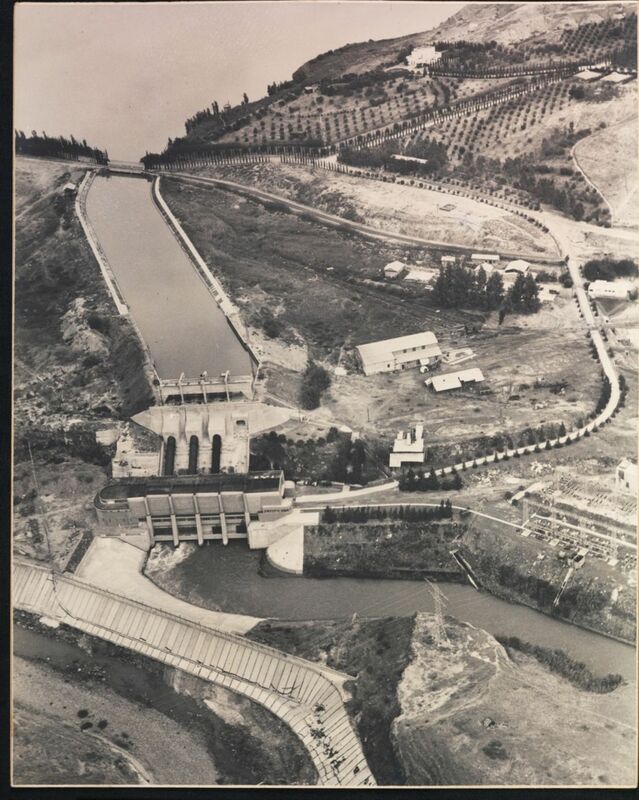 All of these shots were novelties in the pre-state Israel photo album. 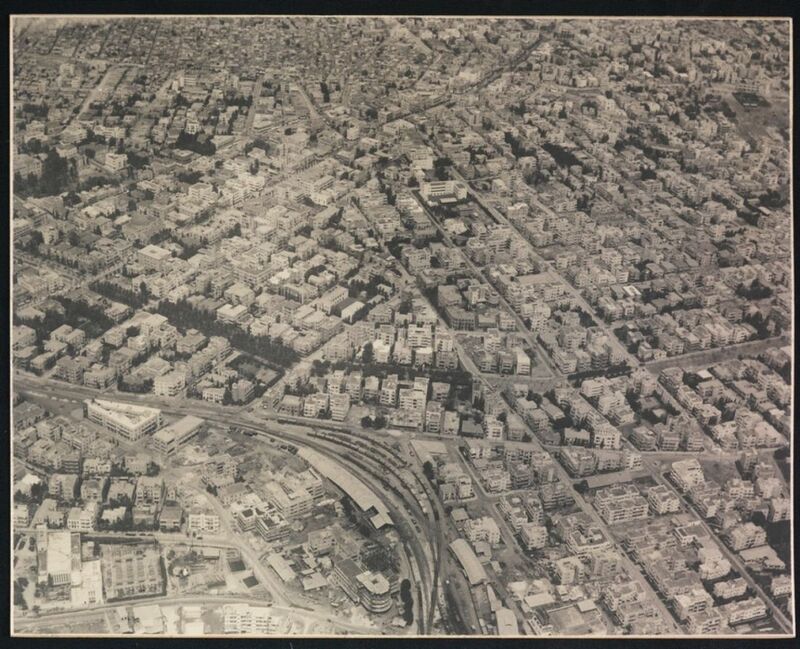 But the crowning glory was provided by Kluger’s aerial shots of Jerusalem. 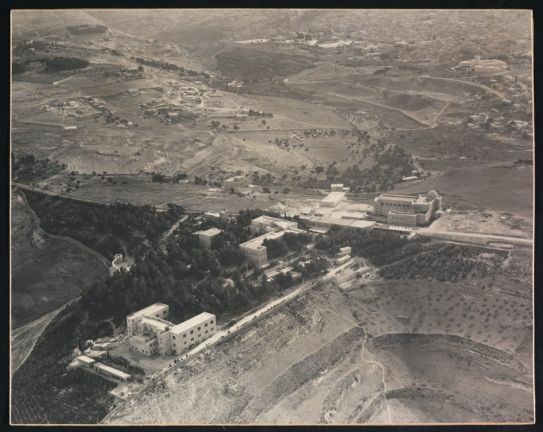 In a gesture (or perhaps in response to a specific request) to the project’s patron, Kluger photographed Schocken’s home and library – the luxurious buildings designed by Mendelsohn on the outskirts of Talbieh and inaugurated shortly before the photos were taken. One of the most amazing details in the Schocken house imagery is the pool and surrounding landscaped garden, designed by a gardener brought in from Germany specifically for the task. These photographs are important documents for the study of the Jewish part of Jerusalem during the Mandate era. 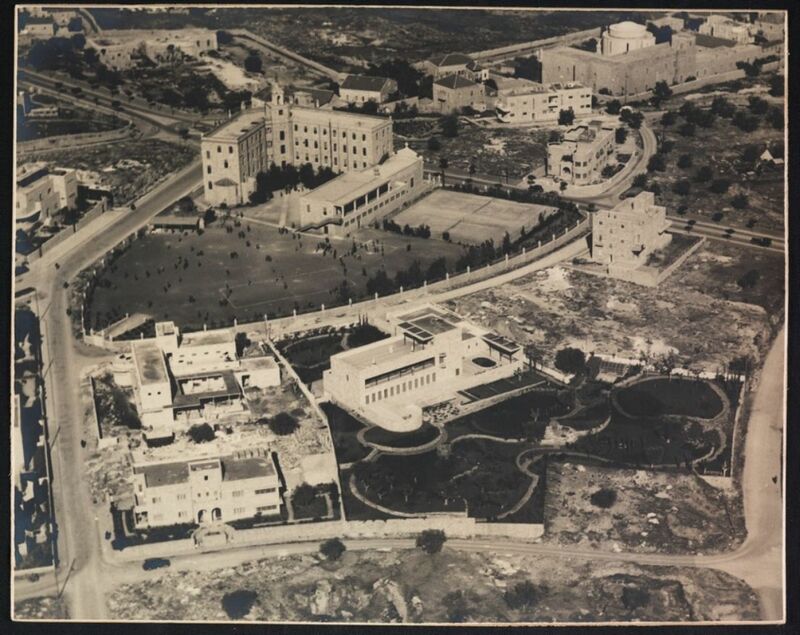 There are also marvelous aerial shots of the Mount Scopus area, including the original National Library in Wolfson House. Schocken, an admirer of Buber’s, also adopted this worldview and wished to thank his many well-wishers. The process dragged on – thanks in large part to the publisher’s meticulous attention to detail – but Kluger’s aerial shots eventually became albums: high-quality silver prints mounted on cardboard and packed carefully inside a box. Schocken then added a page, writing in both German and Hebrew: “I am pleased to send you, albeit belatedly, a collection of aerial photographs of the Land of Israel as a reciprocal gift for the generous present I received from you in honor of my 60th birthday.” Beneath the dedication, Schocken added a few words in German in his tiny handwriting and signed it. The careful production of the photos (which led to the time delay) must have been quite an expensive endeavor. Schocken, a sensible businessman who was always careful with his money, produced only a limited number of the albums that contained 40, hand-selected images. He also produced two mini-albums, which contained smaller collections of six to 12 photographs apiece. Who got the bigger album and who got a smaller one? A partial answer to that may be found in the National Library archives, where some copies of the albums are preserved. A few albums also lie in the personal archives of some of Schocken’s close associates. 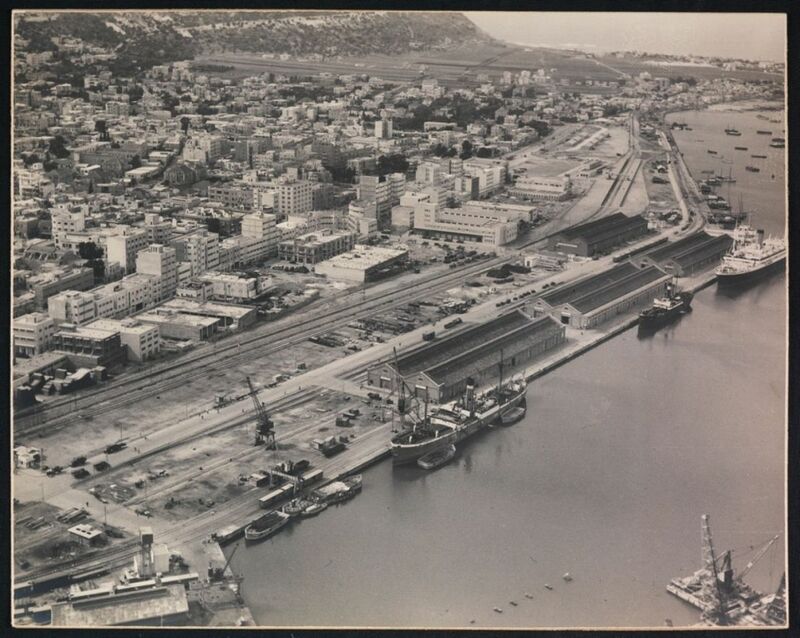 The advent of World War II led to restrictions on civil aviation in pre-state Israel, and aerial photography was banned. Consequently, the Schocken, Kluger and Shifrin project ended up being the sole nonmilitary documentation of the country for many, many years. Even today, 80 years on, the collection’s beauty and quality continues to amaze and inspire us.